Pvt. 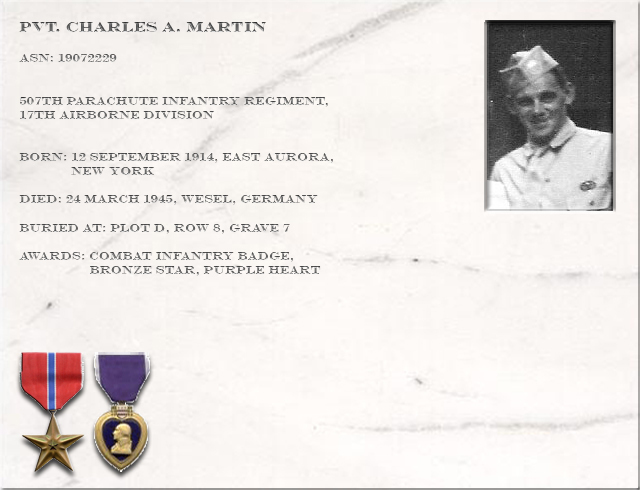 Charles A. Martin was 27 years old married with two young sons living in Trona, California, working as a blaster in a gold mine, when the United States entered the war. He promptly volunteered to be an airborne demolitionist conveniently forgetting to tell the recruiter that he was married with two children. At that time they would not accept him if he had dependants. The Army sent him to Camp Roberts, CA for thirteen weeks training as a pioneer of the infantry. From there he went to Ft. Benning, GA and completed a course in parachute packing, ground training and jumping from a plane in flight. 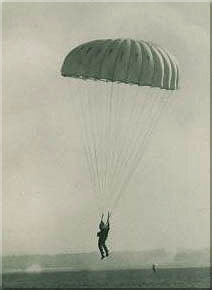 After finishing jump school and the required five jumps, he completed a two week course in parachute demolition training. He was assigned to the airborne command and made one jump with them in September 1942. He was then assigned to HQ & HQ Co. 507th PIR and made four jumps including one in Louisiana and one in Nebraska which were field exercises. The regiment then deployed to Nottingham, England and in March of 1944 was attached to the 82nd Airborne Division in preparation of the D-Day invasion. In the early morning hours of D-Day he and most of his regiment were dropped off of their target landing zones and his unit was cut off from the main part of his regiment by the enemy and was reported as missing in action. After about two weeks they were reunited with his unit and he was awarded the Combat Infantryman Badge and later the Bronze Star for Exemplary conduct in action against the enemy. Since the 17th Airborne Division was now training in England and in need of another parachute regiment to full out its ranks, it was determined that the battle-tested 507th PIR would be permanently assigned to it. The 17th Airborne Division under General Miley's command would not participate in Operation Market Garden. Instead, it was held in strategic reserve while completing their training. December 1944 Through February 1945 the 507th fought in the Ardennes, Belgium during the Battle of the Bulge and was instrumental in the liberation of the besieged city of Bastogne and continued from there into Luxembourg. Following a few weeks away from battle the 507th then prepared for the Jump into Germany’s industrial Ruhr Valley in the largest airborne operation of the war and on German soil. According to letters received from members of his unit Pvt. 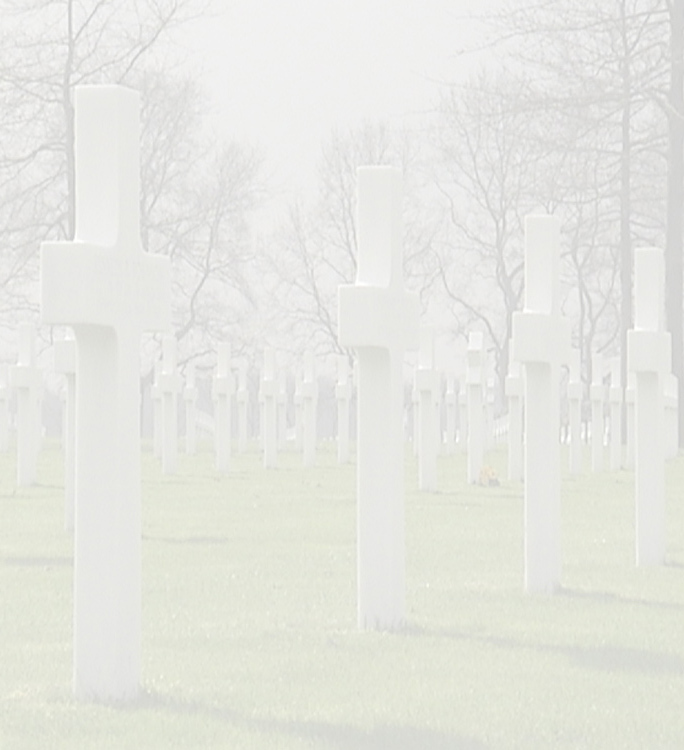 Martin made it safely to the ground but was killed shortly thereafter in heavy fighting and then he was interred in Margraten. 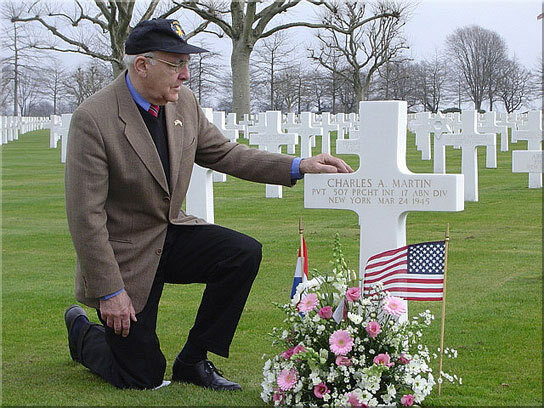 His gravesite has been wonderfully tended for by Pierre Ackermans of Maastricht. In March, right before Pvt. Martin was killed, his brother Lloyd, a P-47 fighter pilot, was shot down and captured by the enemy in northern Italy. Lloyd Martin did return safely and was awarded the Distinguished Flying Cross and the Air Medal. Pvt. 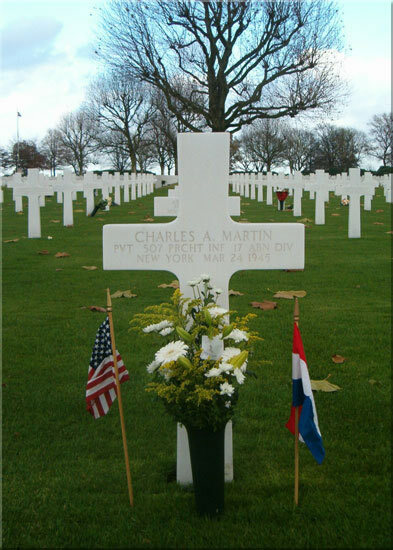 Martin’s youngest son, Charles, later jumped with the 82nd Airborne Division and the 173rd Airborne Brigade before becoming a New York City Police Officer. 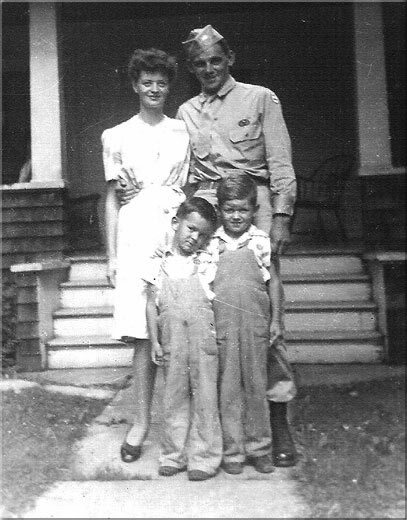 His elder son Michael became a Captain in the Amherst, NY Police Department.